There is usually some sort of bhaja served with a proper Bengali meal. It can be any of several kinds of fried vegetables like potatoes, eggplants or potols (parial). But if you’re in the right season, a pumpkin flower fritter is a must-try. 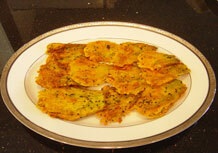 They can be eaten as a snack or an appetizer, or, as is usually the case, with rice and daal. 1) Cut away the stems and the stigma, wash the blossoms and then set them aside to drain the water. 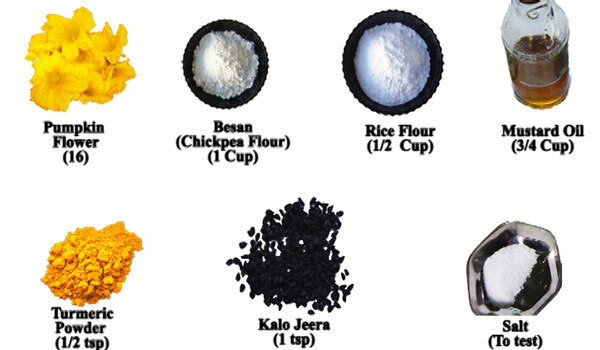 2) Mix besan flour, rice flour, kalo jeera, turmeric and salt together, and then add enough water to make a thick batter, and then set that aside. 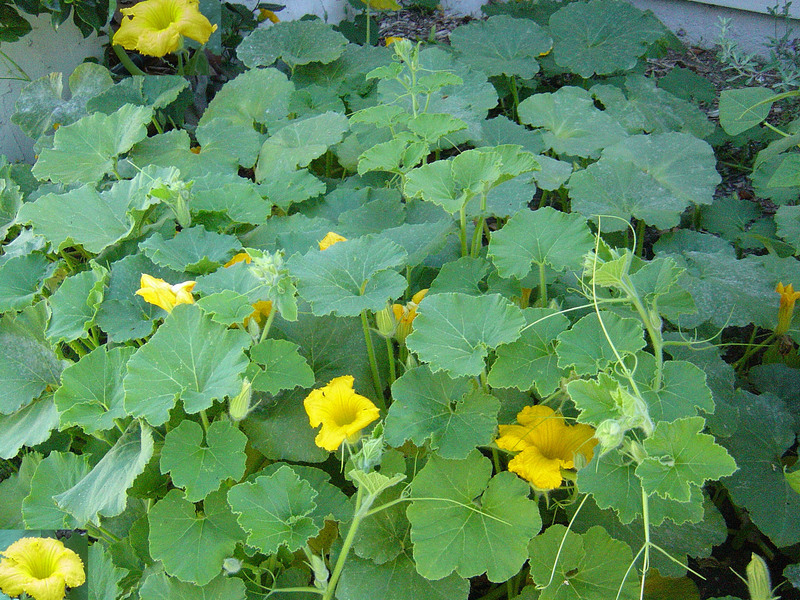 4) Drench a pumpkin blossom in the batter and when the oil is hot, drop it in the oil. 6) Then turn the flowers over one by one. 7) Continue the process several times until both sides obtain a golden brown hue. 8) Remove the fritters one by one and set them on to a paper towel to soak up the excess oil.